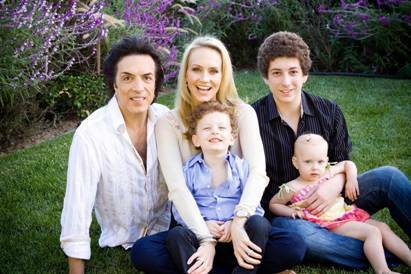 August 9, 2011 – A star (child) has been born to Paul Stanley, the iconic front-man and founder of the legendary band KISS, and his wife Erin, a successful Los Angeles attorney. Emily Grace Stanley, who weighed 7lb. and 10 oz., was born August 9, 2011, in Los Angeles. The new princess of the KISS Army will join sister Sarah Brianna, 2, and brothers Colin Michael, 4, and Evan Shane, 17.